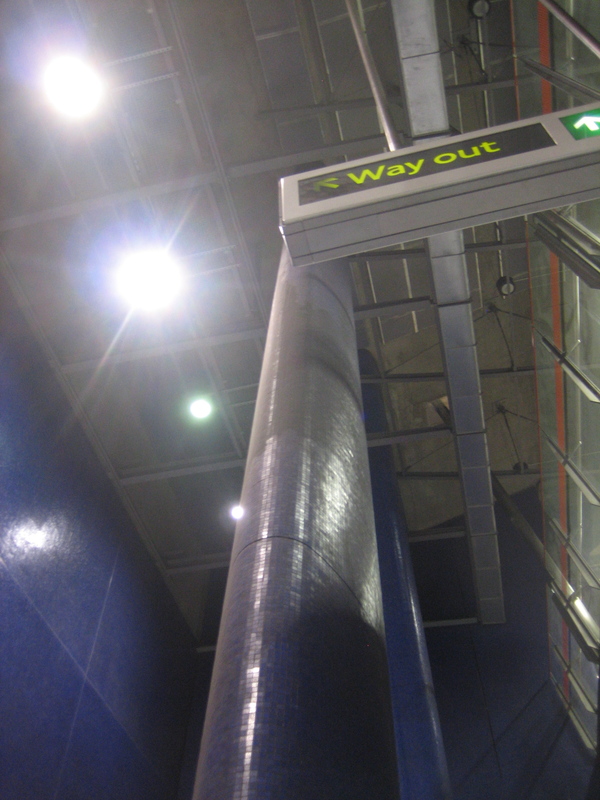 Just when you think the Jubilee line has exhausted its potential to dazzle and entrance, you arrive at North Greenwich with its deep blue caverns and colossal illuminations and your breath is taken away all over again. The size of the place alone is awe-inspiring. Only those without a soul would fail to get real tingles of excitement when descending into its vast, flickering chambers. Well, those without a soul or those on their way back from a lousy night at the O2 arena. The batteries of imposing columns, covered with shimmering blue tiles, heighten (literally) your awareness of the ensemble of architecture. I’d wager it’s rare for your eye to be drawn upwards in an Underground station. That’s definitely not the case at North Greenwich. Why the grand scale? 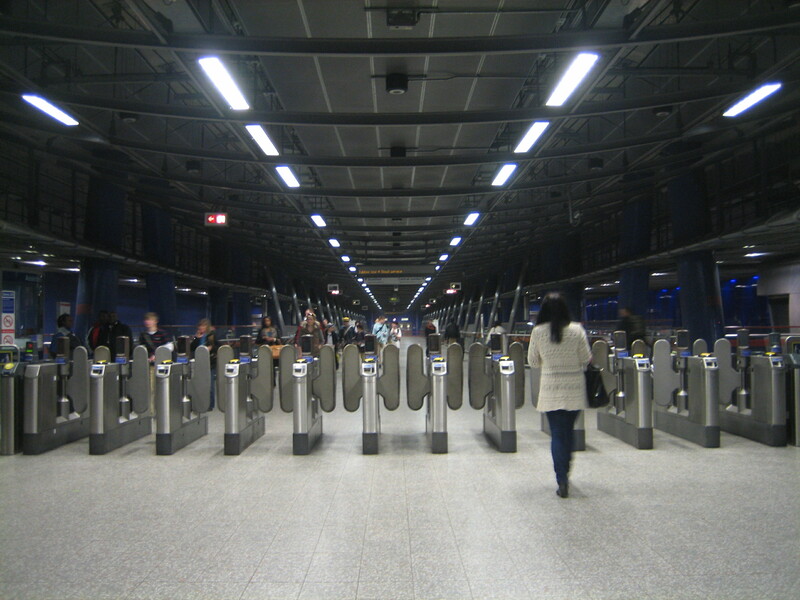 To match the grand intentions of the neighbouring Millennium Dome, naturally, and to accommodate all those millions of people that were expected to flock through the station from around the country. It didn’t quite work out like that. In fact, in terms of appearance, style and content, North Greenwich station totally outranked the Dome upon its opening in 1999. 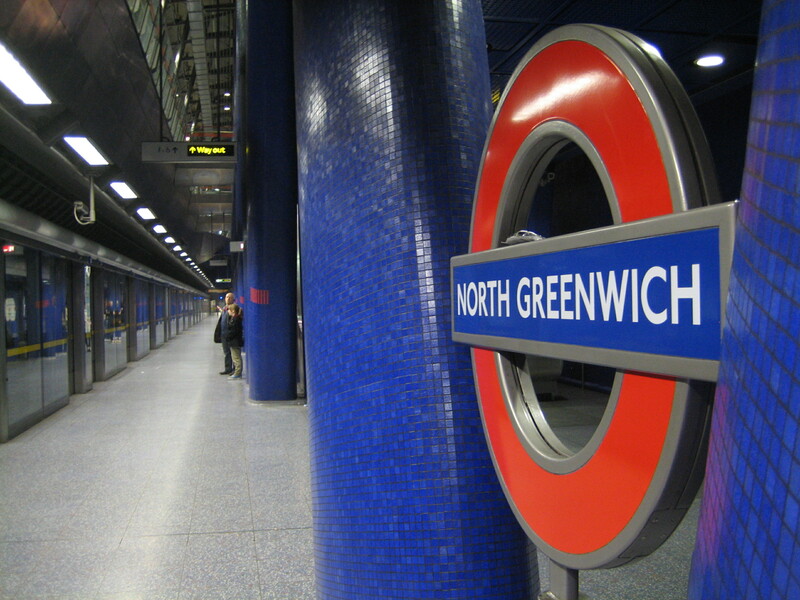 Fun fact: North Greenwich has three platforms because there were vague ideas that there might be a branch to Thamesmead built in future. 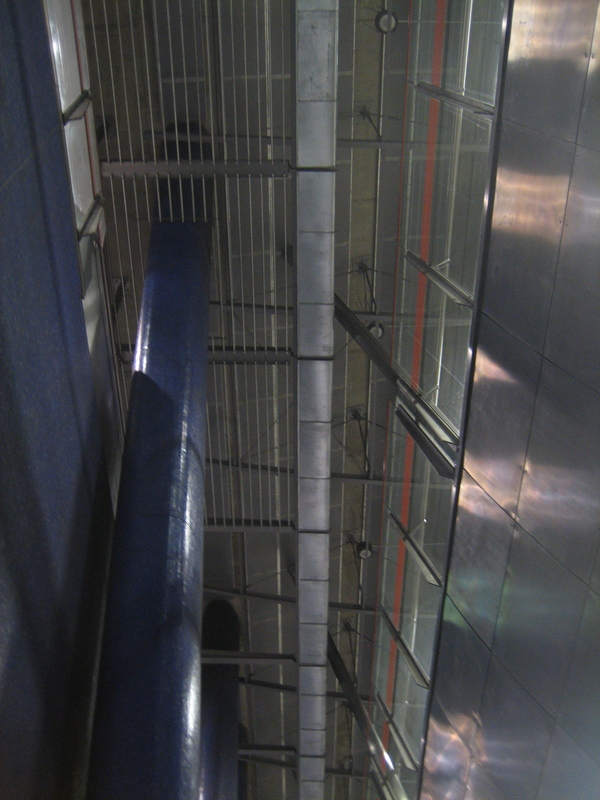 I actually visited the Millennium Dome while it was open, but the Tube station was way more exciting. I don’t think I was alone in that. I wonder what would’ve happened to the station had the Dome not found a new life as an entertainment complex. I’m pretty sure it wouldn’t be as used and appreciated as it is now. The way things are going, I doubt any extension to Thamesmead will get built in my lifetime.